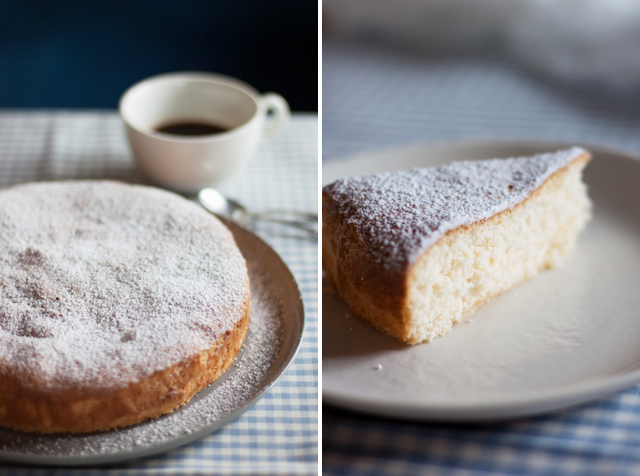 This classic Italian cake is one of those things that every cook should have up his or her sleeve, especially when it’s Pellegrino Artusi’s recipe, a 120 year old recipe that is yeast-free, gluten-free and dairy-free, even without meaning to be. 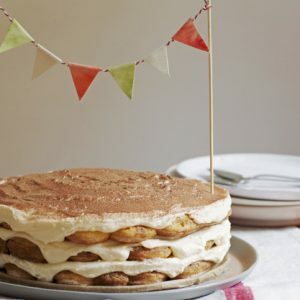 It’s made with just three ingredients – eggs, sugar and potato starch – for a dead simple, thrifty and light-as-a-feather cake. A genius recipe and one that should be committed to memory (which should be easy enough to do when there are only three ingredients) for those times when you need to whip up a cake for gluten or dairy intolerant friends of yours or just because. It’s so soft and fluffy it’s the cake equivalent of a nice warm hug or your favourite pillow, whichever you love more. Torta Margherita, or as Artusi calls it in his 1891 cookbook, “Pasta Margherita”, is a light and fluffy cake adorned simply with a dusting of icing sugar. The slices of pure white coated cake are said to resemble the white petals of a daisy, lending the cake its name (Margherita means “daisy” in Italian). 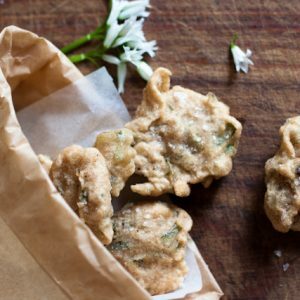 Many Italians might fondly remember their nonne making this, maybe even from scratch, but it’s commonly made out of a packet these days – a bit sad really when you realise how quick, easy and cheap it is to make with a recipe like this one. Popular for breakfast, perfect dipped in caffe latte, or as an afternoon snack, it’s a similar cake to it’s Continental cousin, the sponge cake. In the introduction to his recipe, Artusi recounts (these stories are the best bits about Artusi’s recipes) that he once made this cake for a poor friend of his, Antonio Mattei, from Prato, who asked for the recipe. 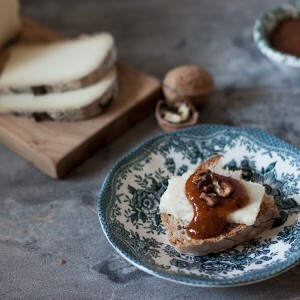 Being an industrious man, Antonio took the recipe and perfected it, finally selling the end-product in his restaurant. The cake had such enormous success that there was no meal without the cake being requested. The moral of Artusi’s story, he then explains, is that people like Antonio, who grab any opportunity to tempt Fortune, will find that Fortune may casually do them a favour more than people who just sit on the couch… in other words, I think Artusi is giving his blessing to take his recipe and run with it! 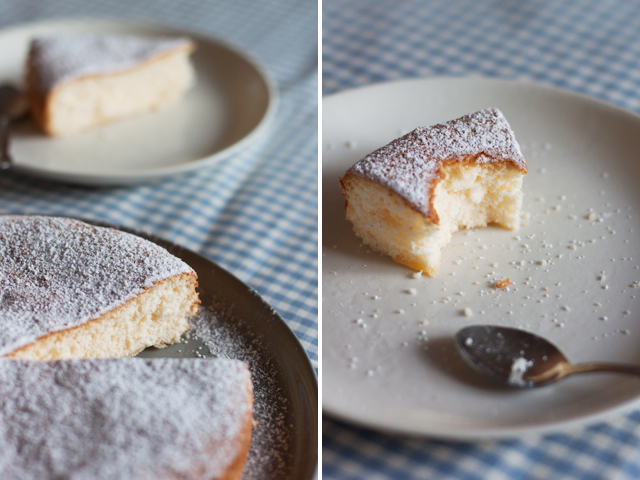 As this is such a simple cake it really doesn’t need much messing with, but feel free to add perhaps some lemon zest or juice to the mix (which Artusi recommends) for a slightly tangy flavour or perhaps some fresh vanilla. The cake should be served simply with icing (confectioner’s) sugar, but you could also use it like the similar sponge or pan di spagna for other desserts such as zuccoto, zuppa inglese or trifle. For more detailed information on the difference between potato starch and potato flour or on gluten-free flours in general, I’d highly recommend this page from Gluten Free Goddess’ blog. In a separate clean bowl, whisk the egg whites until stiff peaks form, then delicately fold the whites through the batter. Turn the mixture out into a round cake tin (buttered and lined with baking paper). Bake at moderate heat for about an hour or until golden on top and firm to the touch (Note: Artusi doesn’t actually give times or heat, but this wouldn’t have been useful anyway as most of his readers at the time would have been using wood-fired ovens! I baked it at 180 C for about an hour). The simple desserts are my favorite, and this cake looks like a real treat. I’m going to try it with the lemon zest. I think it’s this simplicity that is really what makes this so tasty too! The most classic cake, and yet always the one that hits the spot. Classics are always modern. A delightfully light cake! A wonderful classic. less is more, I find myself choosing more and more often the most simple recipes, the ones that call for less ingredients – as for Elizabeth David’s mousse! So simple, so old fashioned – love the bit about the wood-fired oven – yet so modern. You’re so right – less is more! Short recipes are always appealing to me – one of the reasons I love that Elizabeth David chocolate mousse recipe too! Yes – a simple canvas that’s waiting for some little touches to adorn it! What a beautiful, simple cake. The lightest sponges always remind me of family holidays in Italy – our neighbour would bake a huge swirled light and dark sponge to welcome us every year and it had the most beautiful featherlight texture. Maybe she used potato starch?! This is simplicity at its finest – beautiful, delicious and so satisfying. I think Val and I appreciate these types of recipes with a minimal amount of ingredients. Always Italian recipes it seems — simple tastes are the best. Oh my, what a beautiful cake… and gluten-free to boot! Love the simplicity of this cake! The simplest of them all! Grazie mille! 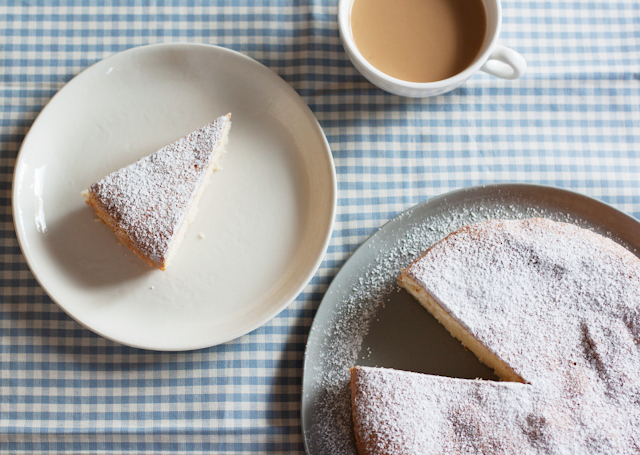 This is one of my favourite cakes – anything that is so simple and so delicious is good if you ask me. Hope you enjoy it! So lovely and it makes me homesick for Italia! Thanks for the this post. 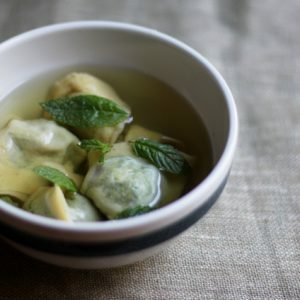 Where can I find out more about italian recipes using potato starch? Can you describe the texture i should be getting? I like the flavor but it’s a bit dry. Goes well with a citrus reduction and whipped cream though. I can’t wait to make this cake. I read the recipe in History Magazine! One question please…….what size pan do you use? Thanks for your comment! I used a 23cm pan (8 or 9 inches). Oh what a lucky treasure you’ve got there! Your best bet would be to scan them and send them to a translator in your local area perhaps — or failing that, ask around your friends, maybe someone’s got some Italian relatives who can help! If they are traditional cakes, you could even try simply doing a web search for the name of the cake and you may find that someone’s done a translation of that cake in English. It may not be the exact recipe but it’ll likely be very similar! correction, They are written in Italian…. I cannot begin to explain to you how NICE it is to read about a delicious and lovely cake and know that I can actually make it for ME without trying to adapt it in some way. It becomes SO OLD and frustrating. I save as many baking recipes as I do because I am a “hobby” baker as we are known here in the US and I think perhaps now the term is being used in the UK. It essentially means most often a woman who bakes from her own home, SOMETIMES being paid for her work but if like me, more often than not no compensation is received or expected because the baking is done for family, close friends or church or fundraising and so forth. But, every so often people actually pay us to bake our delicious cakes and pastries we’ve made for them.. Hobby bakers don’t have official businesses. But I’m constantly searching for and saving all sorts of recipes. I’m hoping down the road in a bit I may have a bakery of some sort. Ten or twelve years ago when I was diagnosed with Celiac disease that REALLY through a wrench into the cog for sure but I still do 98% of my baking for others using normal gluten products. I can’t tell you how happy a recipe like this makes me. I need to go home and double check my potato “ingredient”. I’m not sure at the moment if I have starch or flour. I keep ALL my gluten free flours (I bet there must be close to 20 different ones I’ve come across in recipes in the freezer to prevent becoming not only stale but also rancid as many GF flours are from nuts and we all know how nuts can become rancid all too soon. And yes, I store my nuts in the freezer also. For anyone who does purchase potato starch for this recipe and doesn’t use much of it, be SURE to store it in the freezer. As long as its packaged well it will keep very nicely for at least a year. I can’t wait to make this. If I have potato starch and not potato flour I’m trying it tomorrow. I haven’t been this excited about a new cake recipe in ages. This made my whole day. One question – any idea of the number of servings this should provide? Do you prefer an 8 or 9 inch pan with this recipe? This would make 6 large slices, 8 modest slices. I usually use a 9 inch pan (23cm) but an 8 inch pan (20cm) would work fine too.